Play instruments with your voice in real time! Voice Band introduces a revolutionary new way to make music - with only your voice. Featured on G4TV’s Attack of the Show (with Olivia Munn). • Turns your voice into an instrument, in real time. 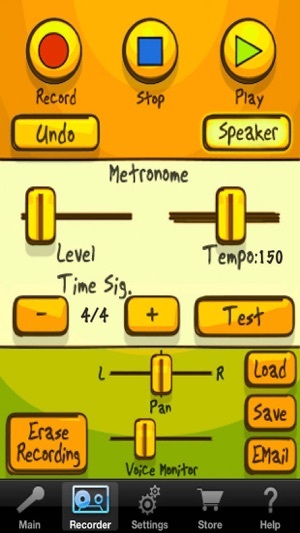 • Built-in recorder allows you to record an entire song, one instrument at a time. • iPod player lets you play along with your favorite music. 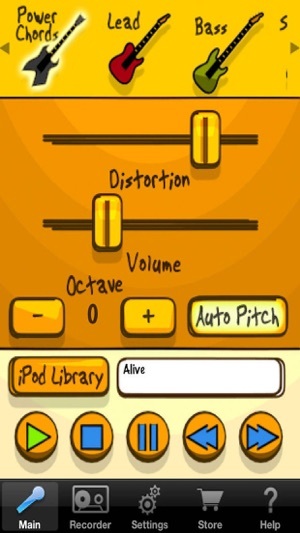 • Drum mode lets you play both kick and snare at the same time by singing at two different volumes. 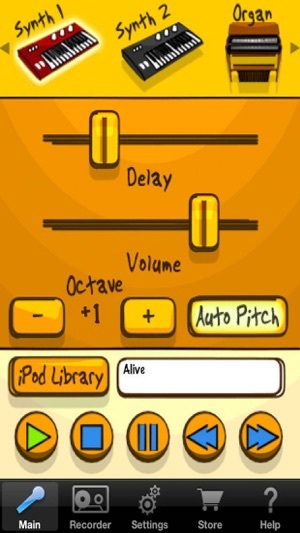 • Auto Pitch mode helps you to stay on key. • Effects include distortion, reverb and delay. 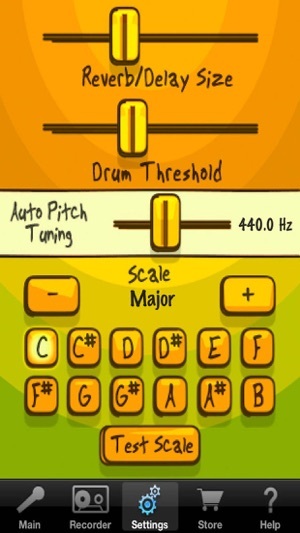 • Adjustable musical scale for auto pitch includes Major, Minor, Blues, Pentatonic, Wholetone and Mixolydian. • Built-in metronome with adjustable tempo. 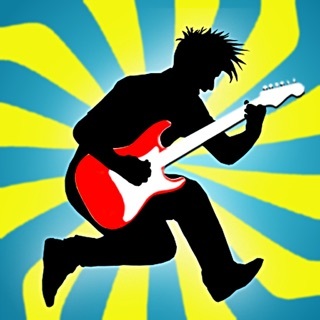 • Songs can be saved, and e-mailed from within Voice Band. • Compatible with headphone and microphone accessories. NOTE: Like any musical instrument, Voice Band works better with practice. If you consider yourself non-musical you can still have lots of fun with Voice Band as you continue to expand your musical talent! 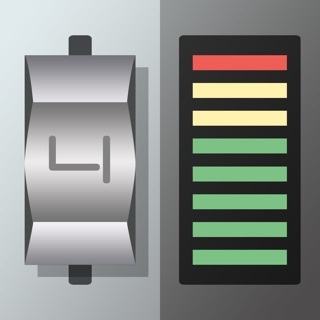 For help in getting the most from Voice Band, check out our tutorial videos. • Quality headphones are recommended. • A quiet place to record, to avoid false instrument triggering from external noise. • Practice is required! As with any musical instrument, your results will improve dramatically as your skill develops. Downloaded on my iPad and got the cello and the violin, the app doesn’t register that I bought them so I can not use them on my phone. Like a lot of the other people who have reviewed the app, I am a professional singer, but I also play multiple instruments (cello, piano, guitar, bass, some brass and woodwinds, etc) and teach voice and most of the instruments mentioned. I had high hopes for this app as a fun thing for my kids, as well as a teaching tool. What it has turned into is something that I spent at least 15 dollars on after downloading it, buying multiple instruments that are way too touchy, and don't record the pitch that it sung. I tested this, thinking maybe I was off key, but I set the app to "chromatic", turned off autotune, plugged in headphones so the tuner wouldn't pick up multiple tones, and my separate tuner said my voice was on pitch, but still, the app was picking up something different. I hope the developer intends on continuing to update this app, because the potential to be a pro tool and a 5 star app is high...but not while these and other issues persist. As it stands now, this app,is more like a frustrating toy that never quite does what it is supposed to do. I have a difficult time recording anything with this app since the drums are so glitchy. Even a slight wiggle of the phone will cause a drum tigger. It's way too sensitive- there should be a way for us to adjust that. Even setting the dial to kick only or snare only - it's still near impossible to lay down a glitch-free track The sample will cut itself off with SILENCE if a butterfly flaps his wings after your intended hit. A new hit should never cancel the prior. This happens over and over again until I eventually don't feel like using the app anymore. Perhaps a simple drum step squencer would be less maddening? The drum samples do sound good- if only I could record them without glitching. The guitars also suffer from this same cutoff glitch. The mic hears some other miscellaneous noise (even though my mouth is right in front of the mic) and it just drops the previous sample. Not very fun when you are 8 bars in. Yet another thing that blows: THE UNDO BUTTON IS RIGHT NEXT TO THE RECORD BUTTON. There will be times when you will destroy a recording that you just spent 20 minutes trying to make. NOT FUN. Why not more undos instead of just one? The best way to use this app is to just use the "mic" setting and overlay your ideas with that. That seems to work fine with no glitches. The rest of the app needs some work. I really hope they do an update. 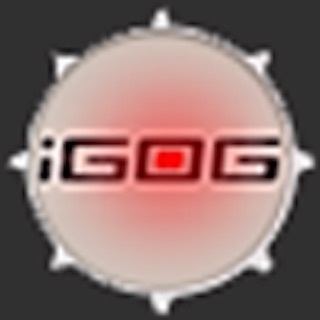 © 2011 WaveMachine Labs, Inc.